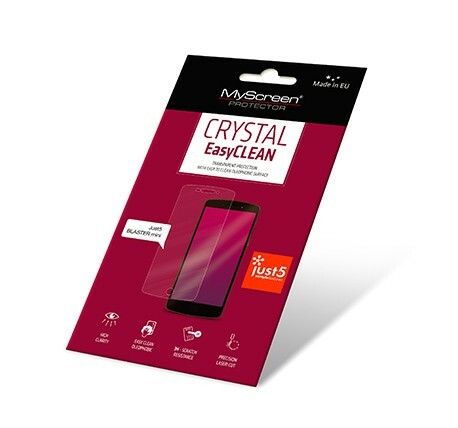 CRYSTAL EasyCLEAN - transparent protective film with oleofobic coating facilitates cleaning of the screen. Perfectly matched (laser-cut technology). Easy to apply and remove without residues. Includes EasyApp - a system that simplifies application of film. Durable and thin material - 3H hardness. Protects against scratches and dirt.